There were 504 fatal crashes in Washington and thousands more resulting in injuries in 2016, and Kent, WA residents should know what to do after a car accident. If another driver caused an accident with your vehicle, you can recover compensation for your medical expenses, property damage, lost income, and pain and suffering resulting from the incident. 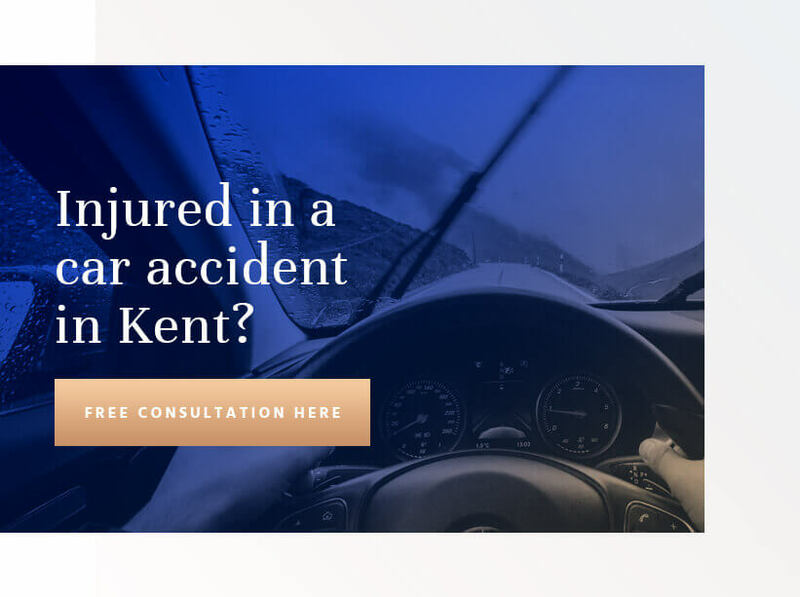 The attorneys at Colburn Law in Kent, WA are here to help injured drivers, so contact us today to learn more about how our firm can help with your claim. The state of Washington uses a fault-based system for handling car accidents. This means every driver is liable for the damages he or she causes on the road, and all drivers must carry the state’s minimum insurance requirements, with at least a 25/50/10 policy. This means the policy will cover up to $25,000 in bodily injury or death for a single victim in a single accident, $50,000 in bodily injury coverage for a single accident, and up to $10,000 in property damage for a single accident. If an at-fault driver does not carry insurance or does not have enough coverage to fully compensate your losses, you can pursue a personal injury claim to recover the rest. Duty. The plaintiff must prove the defendant owed a duty of care during the situation. In car accident cases, the duty of care of all drivers is to operate their vehicles safely and to abide by the traffic laws and posted signs and signals. Breach. Next, the plaintiff will need to prove the defendant breached or violated this duty of care in some way. This could be through a specific action, such as speeding, or inaction, such as failing to repair a known problem with the vehicle that caused the accident. Damage. The plaintiff must prove the extent of the losses suffered due to the defendant’s negligence. If the defendant was negligent but the plaintiff suffered no loss, there is no claim. Causation. Finally, the plaintiff must be able to prove his or her damages resulted from the defendant’s negligence and not some other cause. A reliable and experienced car accident attorney will help gather the evidence necessary for building a strong case, but a plaintiff’s actions immediately following a car accident are also crucial. Your priority should be your personal safety and well-being, and that of the passengers in your vehicle. After an accident, stop your vehicle and check yourself and passengers for injuries. If anyone is injured, call the police immediately to report the accident and have emergency personnel arrive at the scene. If you can move around, get out of your vehicle if it is safe to do so and check on the other drivers involved in the accident. While you wait for police to arrive, try to gather information from the other drivers and any witnesses who saw the crash, and take pictures of your injuries, your vehicle, and the other vehicles involved if you can. These photos will help an insurance adjuster or jury have a more accurate picture of the accident. Once the police arrive, it’s crucial you do not admit any fault, even if you think you are partially to blame for the accident. Answer the police officers’ questions honestly and concisely and wait for them to allow you to leave. After leaving the accident scene, you should seek medical care, even if you think your injuries are mild. Your doctor will provide you with a medical report of your condition, and this will be a vital building block for your future lawsuit. Once you are able, contact an experienced Kent car accident attorney to handle your claim. The attorneys at Colburn Law have extensive experience with all types of personal injury claims, including car accident claims. Contact us today to schedule a free case evaluation with one of our attorneys so we can give you an idea of what your personal injury claim could be worth.